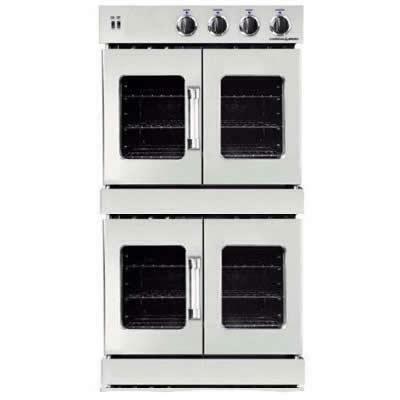 American Range Legacy serie 30" Residential electric wall double-oven, features Innovection™ Convection Technology – utilizing dual convection motors which provide superior baking performance, and two ovens cavity that measures 4.7 cu.ft. each. Including with 3,500 Watt Instagrill Broiler that reaches searing temperature in 3 secondes in each oven. With two Dependent French oven doors that open 130° with the pull of one handle.